I know it's only been a couple of days on the road, but we are taking a little one day rest break. We're feeling very conflicted and guilty doing so since we're on rental bikes and every day we're not riding feels like we're just wasting money. But we've got to balance that with our travel fatigue. We want to savour Japan. We don't want to speed through it and not be able to properly absorb everything we've seen. Also, my back friggin' hurts. Damn F800R sportybike! We are staying in an AirBnB in the suburbs of Tokoname. 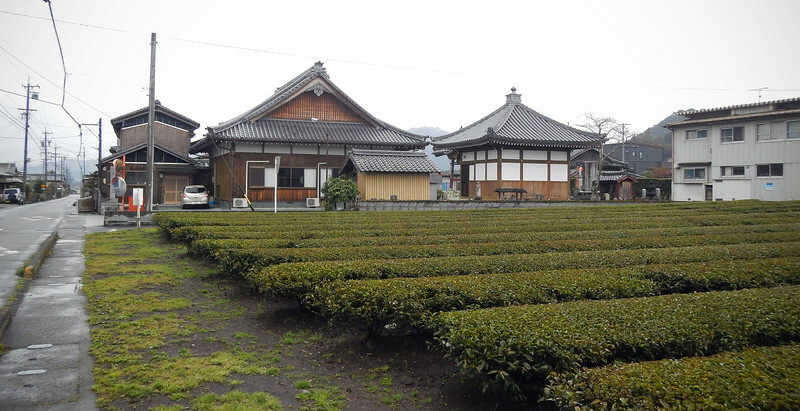 Tokoname is a small town in the western part of the Aichi Prefecture. Japan is divided up into 47 Prefectures, like States or Provinces. 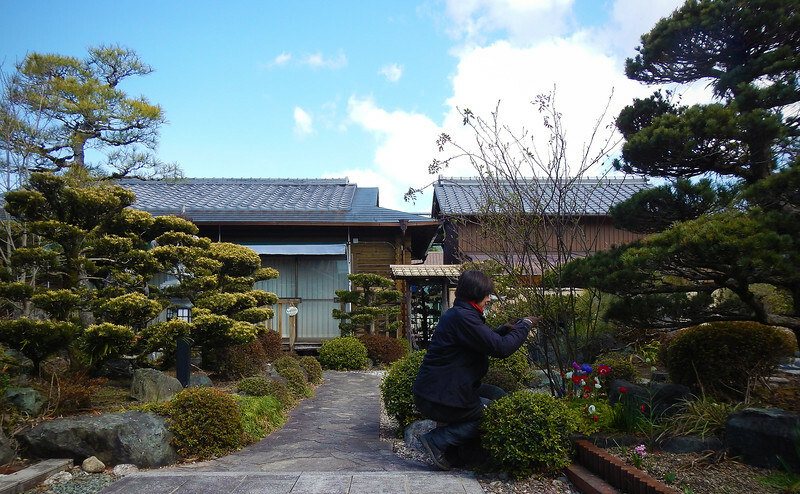 Tokoname is known for it's ceramics, and tourists visit the giant kilns in the area. But we're not doing that. Our AirBnB host, Warwick, is an ex-pat from New Zealand, and we chat for a while about his experiences living in Japan. He's been here 17 years and seems to really like it. From what we've experienced in this country so far, we are really loving it as well. I can totally see ourselves living here! Warwick married a Japanese woman, and when we asked about how easy it is to immigrate here, he regaled us with the long and complicated process to obtaining Japanese residency. Citizenship is an even more tortuous process! Special parking for our bikes! Also, these boxy cars are the most popular vehicle on the road. With their small engine housed inside the stubby hood and their vertical slab backs, they're so space efficient. Especially when you see them in traffic! There's virtually no wasted space when they're queued up bumper-to-bumper. In Japan, they have to make use of all the space they have! Visiting the mall, we get to see what the local Tokonamans do, as well as grab some non-touristy lunch. So, the most popular stall in the food court serves Roast Beef Ohno. I had to line up for 20 minutes to get one! In Japan, beef bowls are a traditional dish, it's simply rice underneath slices of cooked beef. 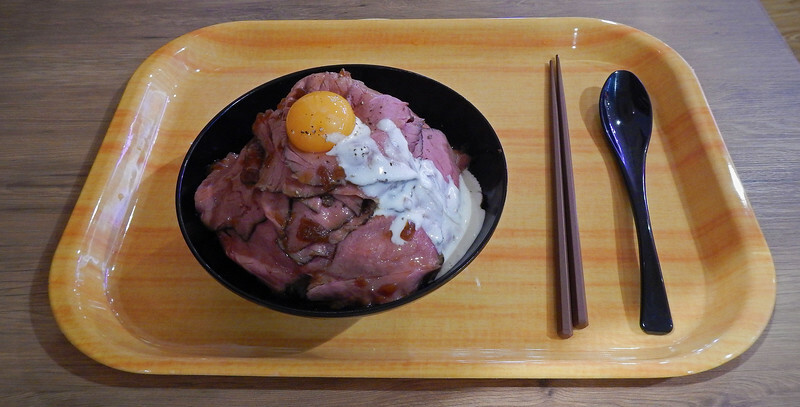 However, in Akihabara (yes the electronics district in Tokyo), a restaurant just started serving up a little twist: beef bowl volcanoes, called Roast Beef Ohno. It's all the rage in the big city! They build a mountain of rice and then wrap the sides with slices of roast beef. Then they hollow out the top and pour a raw egg yolk in the crater to simulate the fiery eruption. To complete the effect, white mayo sauce flows down the side, like lava! LOL! I'm sure giant ancient kilns are nice and all, but this is the kind of Japan I wanted to see. 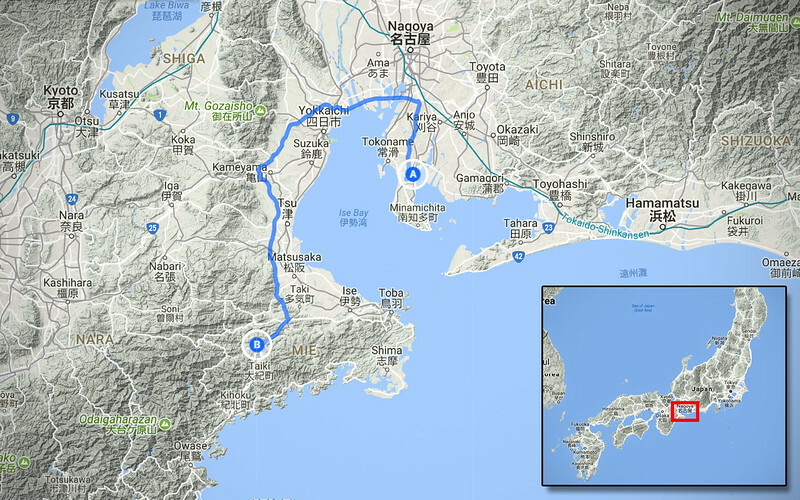 Taketoyo is only 15 minutes away from Tokoname. The names sound so similar, it's kind of confusing when people ask us where we are coming from. Takenamo? Tokotoyo? Tokyodorifto? Also, the roads in the residential neighbourhoods are so tight! We got lost trying to find both places. When you miss a street, the road is so narrow that it's impossible to make a U-turn. So we end up having to circle around over and over again, trying to find the right street. It's easier for me to just get off the bike and walk around to search for our accommodations! Try making a U-turn on this street! Found it! So cool! 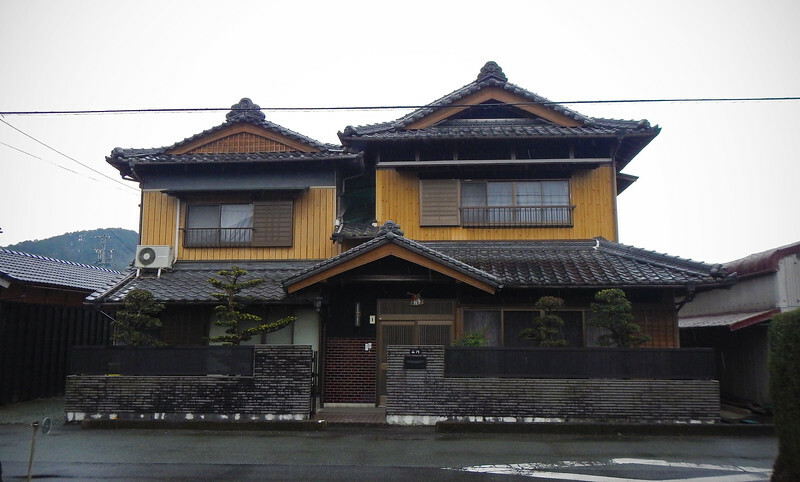 It's a Japanese style guesthouse! Our AirBnB yesterday was super nice, but it was also modern and westernized. Our new place is very traditional-looking. 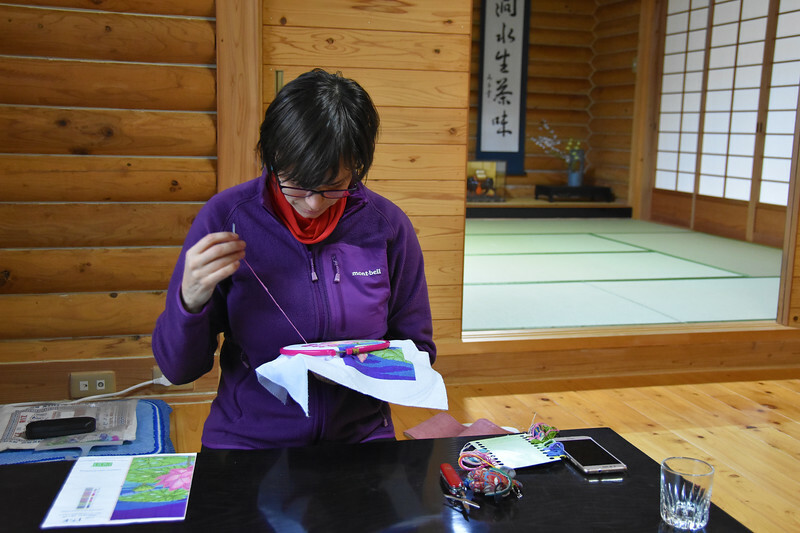 It's run by a Japanese lady who speaks a little bit of English, but after we are welcomed into her guesthouse, we are checked in by a young girl from Germany who is volunteering in Japan. She does checking in and cleaning duties, and in return, she gets a free room. It's a common arrangement we've seen all over the world, since volunteers, students and long-term tourists can't legally get paid to work in the country without a proper work visa. We get shown up to our room. To our delight, it's a tatami room! 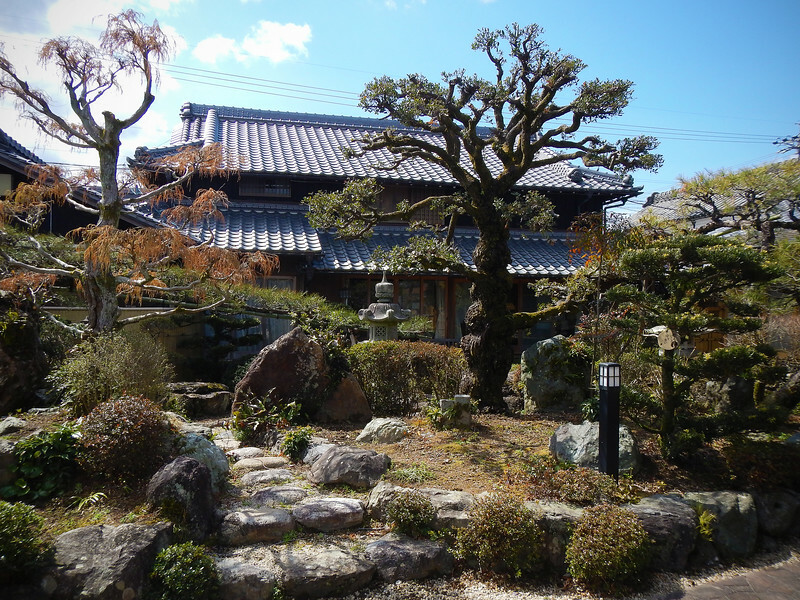 High on our bucket list for Japan is to stay in a ryokan (traditional Japanese inn) and sleep in a tatami room. 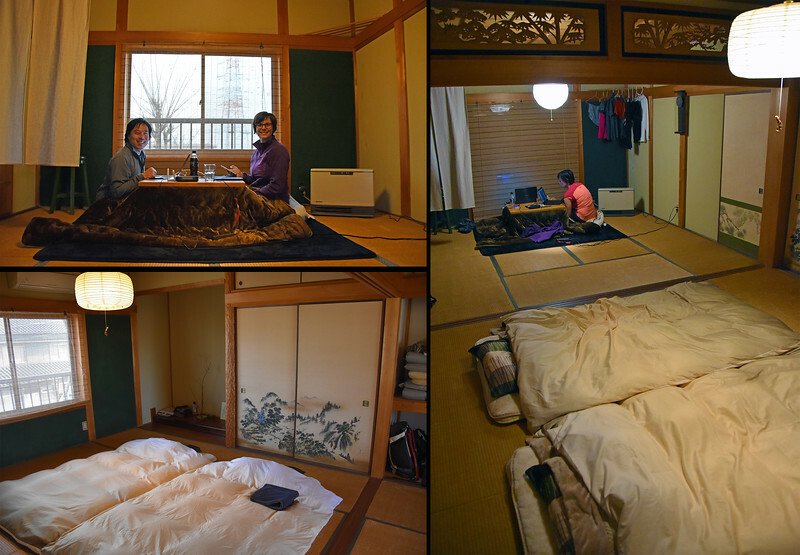 Although this guest house is not really a ryokan, more like a hostel, we do have a tatami room! There rooms are actually called washitsu, but we call them tatami rooms because of the tatami compressed straw mats laid down on the floor. Oh. My. God. I've just discovered my new favorite thing in the whole entire world - A Kotatsu! 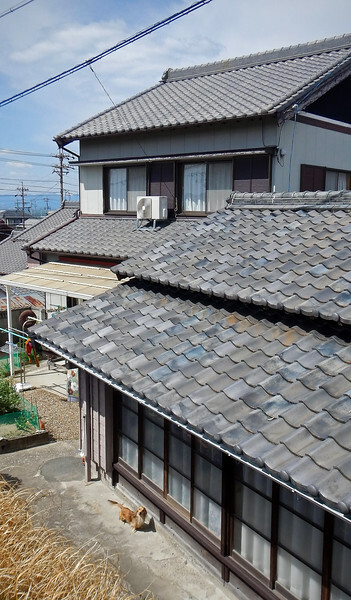 These old Japanese houses don't have any heating at all. All of the rooms have some kind of gas heater that you lug over to where you are sitting. In a large room, this method of heating is not very efficient. So a common piece of furniture in a Japanese house is a kotatsu. It's a heated table! There's an electric element under the table that heats your legs. A soft fluffy blanket is curtained over the sides of the table, and that is electrically heated as well! And to top it off, there's a heated pad underneath that you sit on! These cold early spring temperatures are chilling us to the bone, especially when hunched over that damn naked motorcycle all day. 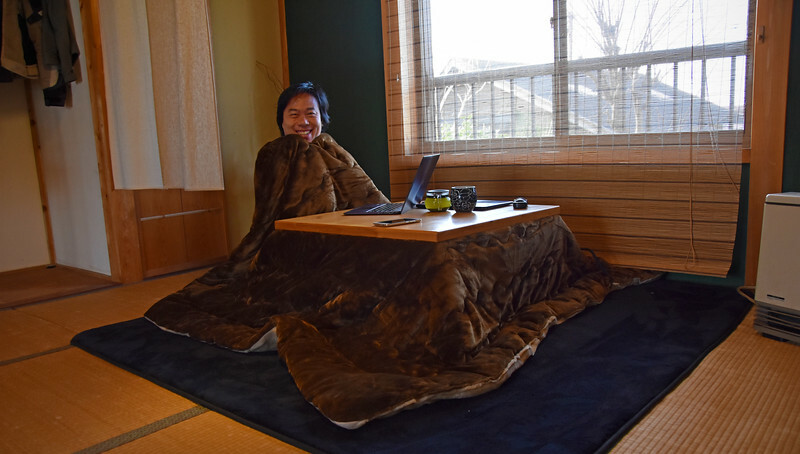 For that reason, I have fallen madly in love with the kotatsu and wherever we settle down, we have to get one in our house! I know you're not supposed to do this, but I curl up under the kotatsu with only my head sticking out from under the table. Then I crank up all the heated elements to max and take a long nap. AAAAAH! SO GLORIOUS! Our sleeping mats were initially rolled up in the corner. In Japanese they're called 布団 - Futon! Haha, I didn't know that was a Japanese word! 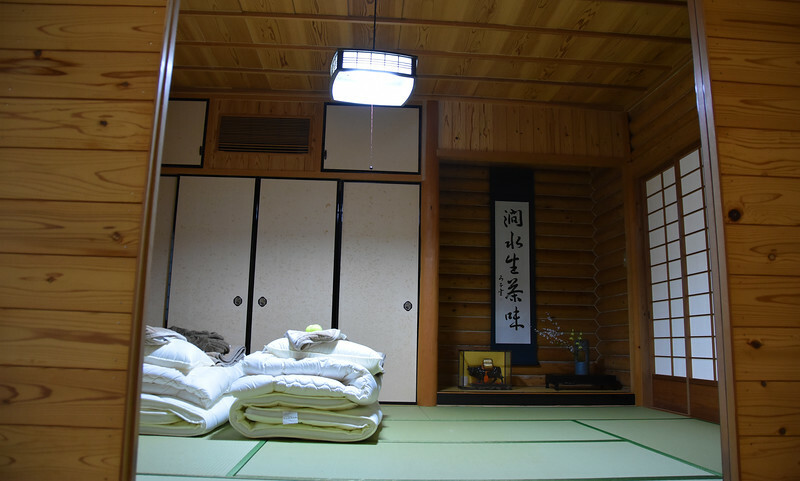 Traditionally, the washitsu is devoid of any furniture, just tatami mats. It serves as an all-purpose room. You can use it as a living room, a dining room or a bedroom. You just bring in the furniture as needed based on the time of day or function. So you normally unroll your futon and prepare your bedding every evening. Then in the morning, you roll your futon back up to make space for the rest of the day. 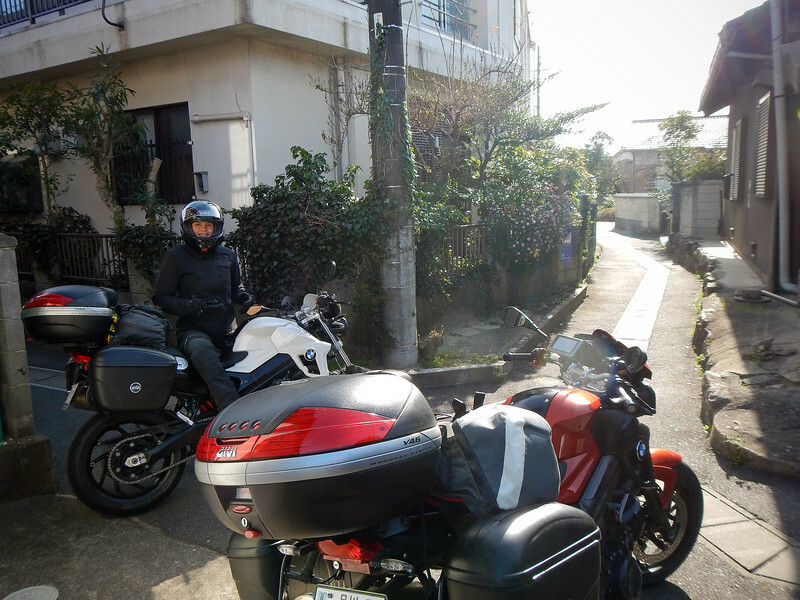 Another reason we are staying an extra night in Aichi Prefecture is because we are meeting up with a fellow motorcycle rider! 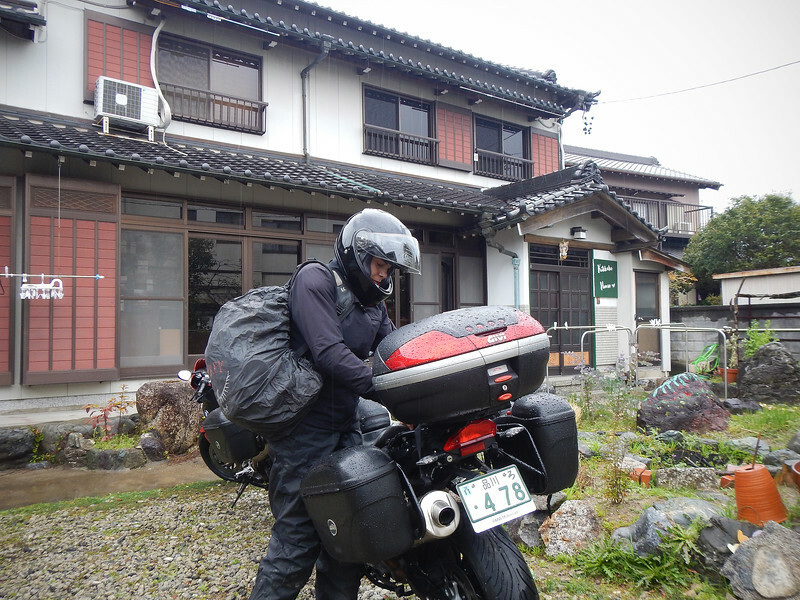 Michael contacted us on ADVRider, one of the forums we copy our blog to, and he lives in Nagoya, not too far from where we are. He offered to come down to see us and asked us where we'd like to meet. So I gave him the address for the Coco Curryhouse around the corner from us and he laughed! That's like meeting at the local McDonald's. Or I should say, the Makudonarudo. I told him we are living like locals! 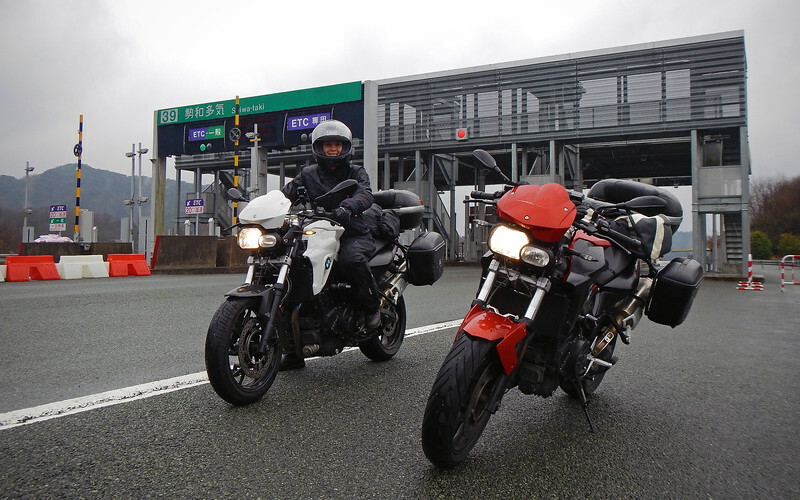 It's so nice to talk to another motorcycle rider, and they've both traveled extensively as well. Michael is originally from South Africa, and Nori spent some time working in Singapore. 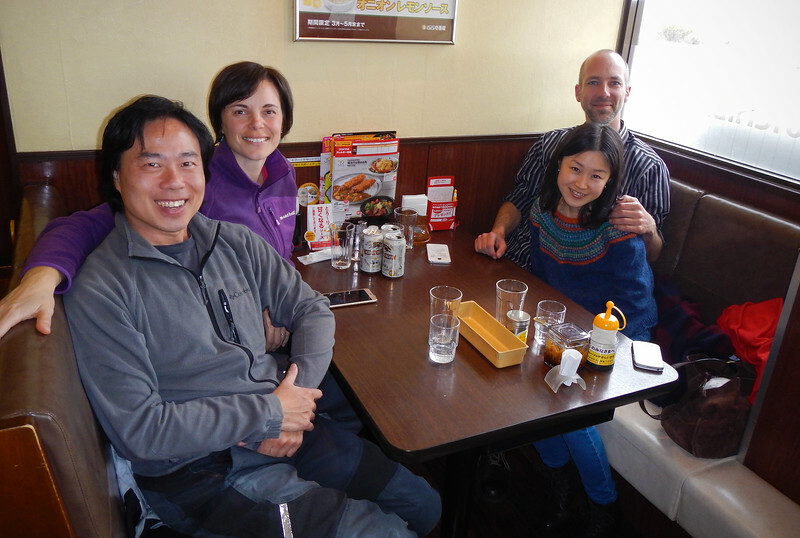 We exchanged a lot of stories about life in Japan and on the road. I'm not sure if they realized, but we were really picking their brains on how to live in Japan. Because we really like it here and had a million questions like how hard it was to learn the language, how accepted you are as a foreigner, etc. Nori told us that it is a very closed culture, and not just for gaijin. She was born here but upon her return after a few years working abroad, she was treated very differently, not as a nihonjin - 100% full-blooded Japanese person - anymore. She said that the expectations for foreigners are very low. They just presume that you're not going to be as smart or as hard-working as a futsu-no nihonjin (term for "ordinary Japanese person" meant in an exclusionary manner), and that her years living in Singapore pretty much branded her a lazy gaijin when she returned. Also, Japanese culture is very patriarchal, and that they don't treat women as well here as in other more progressive countries. I think as newcomers to Japan, we've seen this country through some rose-coloured glasses. It's always interesting to get more in-depth insight from people living here full-time. But it's also telling that despite their criticisms, Michael and Nori have no plans of moving out of Japan either... There's good and bad in every place. Michael is hooking us up with the local motorcycling community. This is what we always search for on our travels, but it's so difficult getting in touch with the right people when you don't know where to look for contacts. When we first left on our trip so many years ago, I was an active member on lots of motorcycling web forums. But over the years, their popularity has declined and it's all social media now. I haven't kept up with the times, so I still post requests up on the forums but there's no response anymore. In fact, one of the boards that I copy our blog to has just recently shut down due to inactivity. I feel like such a technological relic! He tells us that the Facebook group gets together regularly for rides and meets up every month at a bar for a social. He asked if we would do a presentation at their meeting next month. Of course, we'd love to! 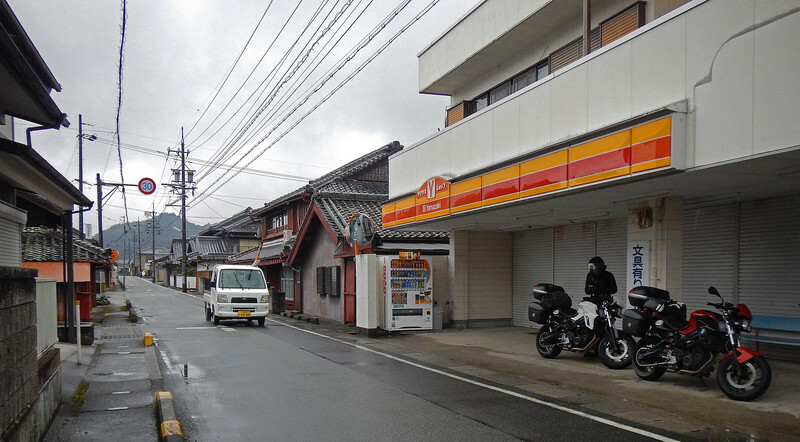 When we leave the restaurant, he gives me the name of another motorcycle rider in Wakayama, further ahead on our route. Over lunch, he had PMed his friend and asked if he could put us up. 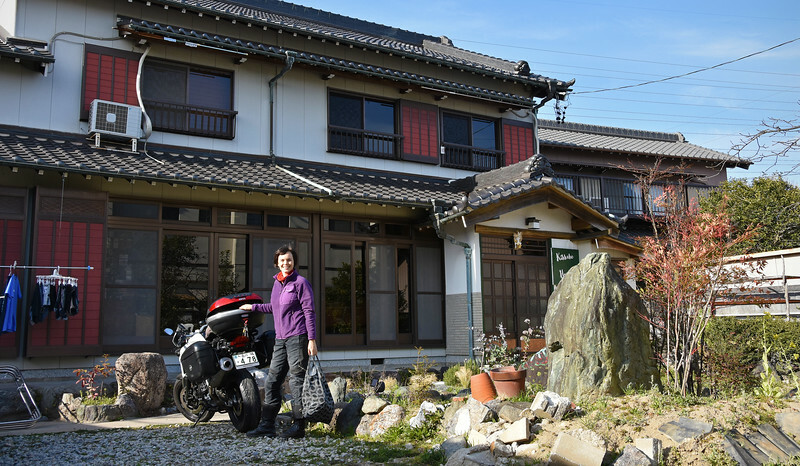 So now we have a place to stay and another motorcycle rider to show us around in a few nights' time! Wow! That's awesome! 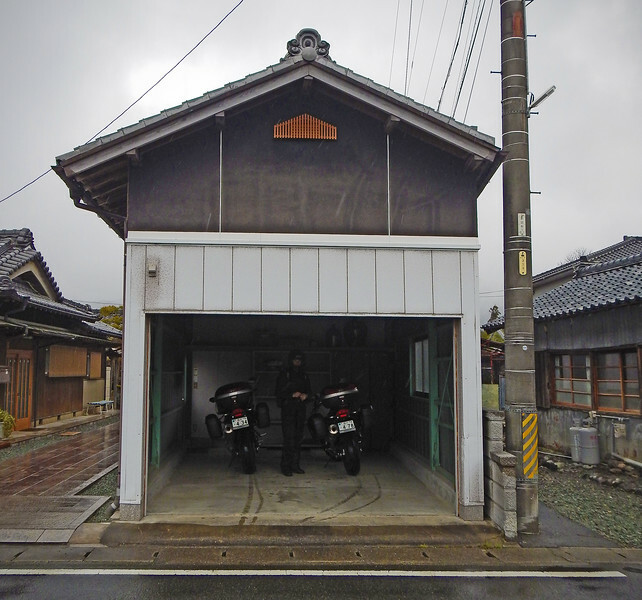 From inside, our Japanese host and her German help look so sorry for us, packing our bikes in the cold and miserable downpour. We tried to assure them that this is very familiar motorcycling weather to us and that we've ridden in much worse conditions, but that did nothing to assuage their looks of abject pity and worry. Today is another relocation exercise as we leave the Aichi Prefecture and head to the Mie Prefecture. This region has protected areas and is less crowded than the more populated Aichi Prefecture. *This* is where our real motorcycle journey starts and we're looking forward to spending less time paying ETC tolls and more time taking in some beautiful scenery. We are staying overnight in the tiny village of Ōdai-chō, on the east side of the Mie Prefecture. 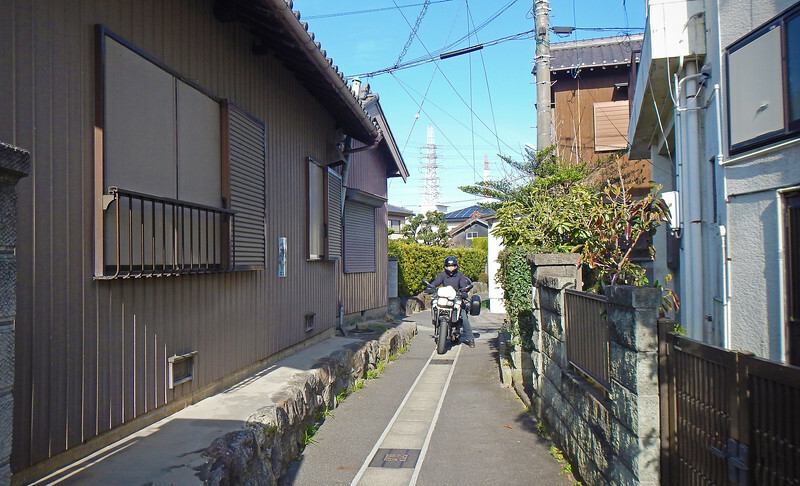 There are a lot more traditional-looking buildings here than compared to the larger towns of Tokoname and Taketoyo. Although we are a bit lost in the pouring rain, it still doesn't dull my excitement at seeing all these cool traditional Japanese houses surrounding us. Tea bushes growing in some sort of community garden. Cool! Turns out that house was where we are staying. This is the garage! Even our bikes have a Japanese-style roof over them. Cool! All of the AirBnBs run by Japanese people are self-check-in. They e-mail us specific instructions in English for where to find the key, how to operate all the devices, etc. 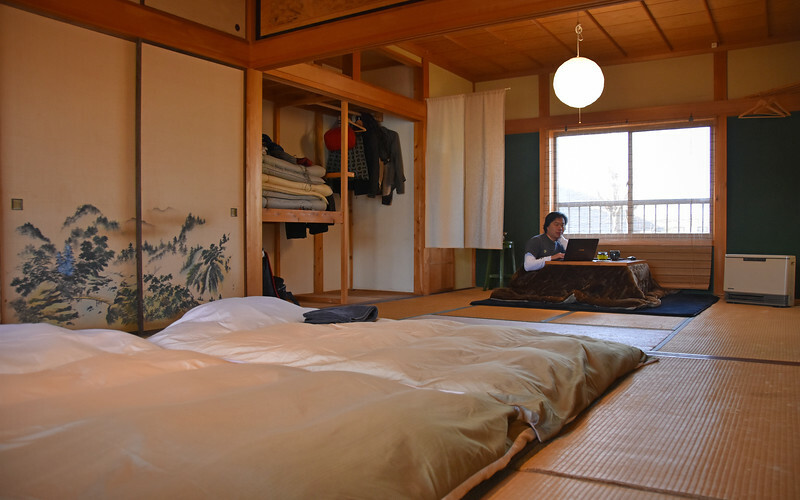 The Japanese love automating everything, including AirBnB checkins. I suspect that because most of them don't speak Engish, it's probably easier this way. It's beautiful inside! All wood floors and walls and tatami mats and everything! We love it! Oh man, we are only here for one night, but we want to stay longer! Now that we have more than one washitsu to compare, this one is a lot better than the one we stayed in yesterday! You can see the tokonoma (alcove) with the flowers and the hanging scroll. The tatami mats are brand new that's why they are green. They will dry up and turn straw-coloured over time. Some people love the smell of fresh green tatami, like the scent of grass. Others prefer the aged look of the yellow-brown straw. You can buy them in both colours. 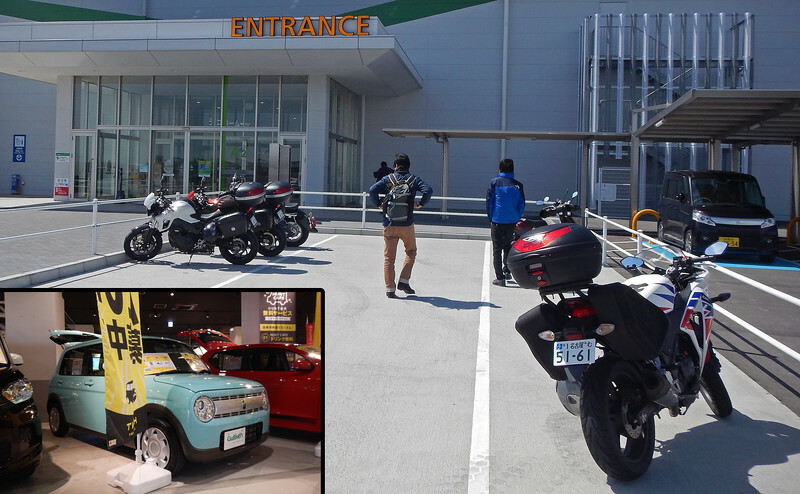 On the right hand side, you can see the Japanese translucent sliding door panels, called shoji. It's light-weight, lets sunlight in, but also protect privacy as well. This place is way swankier than last night's tatami room! In the morning, the rains have left us and we are free to explore the grounds of our AirBnB log cabin. 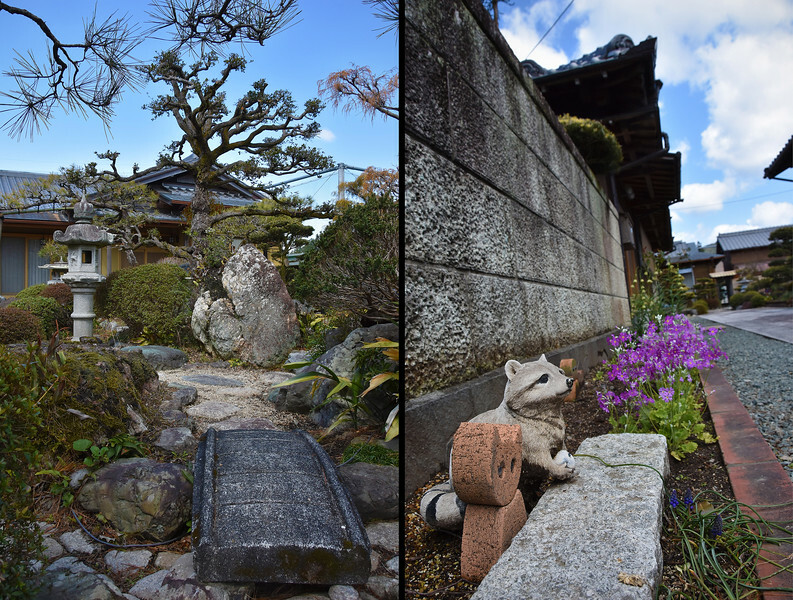 The owners of the house have cultivated a beautiful Roji, or Japanese tea garden in their courtyard. Wow! This was one of the nicest AirBnB places we've ever stayed at! I have to forcibly pull Neda away from the garden, she didn't want to leave! We have roads to ride, Neda!